The success of the recent Nike Air Force 1 “Metallic Silver Foamposite” has spawned Nike to create the Nike Air Force 1 High “Black Foamposite”. Comprised of Nike’s signature Foamposite material, the “Black Foamposite” Air Force 1 sits atop a clear sole and visible “AIR” unit. 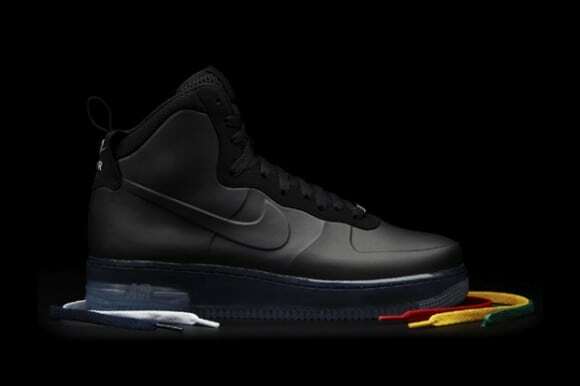 A mesh tongue and black strap above the “Nike Air” logo resembles the Nike Air Foamposite Pro, yet the sneaker holds characteristics of the signature Air Force 1.